Chiari malformation type 1 (CM-1) is a common congenital or acquired malformation of the posterior fossa. We aimed to characterize preoperative risk factors, perioperative complications, and postoperative outcomes related to CM-1 surgery in pediatric populations across a nationwide network of pediatric hospitals in the United States (US). 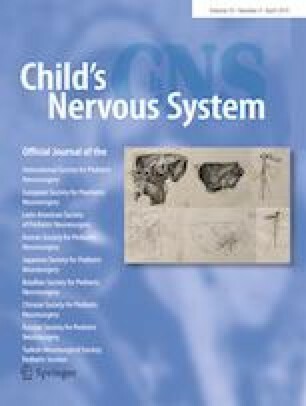 The Children’s Hospital Association’s Pediatric Health Information System (PHIS) database was used to examine patients < 21 years old in the US-based nationwide database who underwent inpatient surgery for CM-1 from 2007 to 2015. Data analyzed included patient characteristics, preoperative comorbidities, perioperative outcomes, short-term postoperative surgical and medical complications, and healthcare resource utilization. Among the 5976 patients identified, those age 0–4 years had higher medical and surgical complication rates compared to older patients. Those with pre-existing comorbidity of hydrocephalus had higher odds of 30- and 90-day medical and surgical complications. Those with any complications at 90 days had an increased length of stay and higher healthcare costs compared to those without complications. 6.88% of complications were surgical and 1.67% medical. Patients with medical complications had the longer mean stay and associated costs compared to those with surgical complications (13 vs. 6.9 at 95% CI, and $71,300–94,500 vs. $110,400–195,000 at 95% CI). Use of a US-based national children’s hospital database presents outcomes and resource utilization from a multi-institutional, real-world experience in pediatric hospitals. There was a higher risk of perioperative complications in younger patients and those with pre-existing comorbidities, namely hydrocephalus. Understanding preoperative risk factors, perioperative complications, and postoperative outcomes, as well as healthcare utilization and costs, can help target areas for improvement and guide preoperative counseling and risk stratification. Portions of this work were presented in electronic poster form at the American Association of Neurological Surgeons Annual Scientific Meeting, Los Angeles, CA, 2017.